Deforestation 2 - Poland. Workshops in the school yard. The vegetation in Portugal is not very varied and plant species have high economic value. Our forest is not very dense and the main cause of destruction of our forests are fire. May still arise due to weather conditions such as high temperatures or thunderstorms. 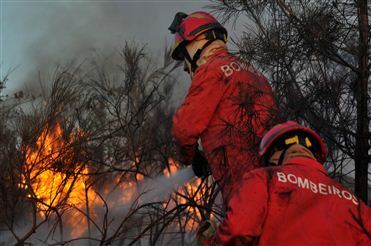 Portugal is greatly affected by fires, especially in the summer Our biggest concern should be directed to the prevention of fires and reforestation of burned areas. The forest is very important for the balance of the terrestrial environment, why it is that has to be preserved. · If newspapers, magazines and papers used are recycled fewer trees are felled. ECO PALS from Poland are presenting students’ works from last year’s photo competition “ Forests Around Staszów”.